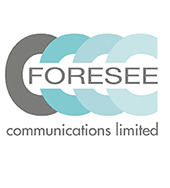 Foresee Communications is all about charity fundraising. We have a long history of providing tailored solutions to our charity clients in the areas of fundraising and corporate partnerships. We have a well-established reputation among charities, non-profit organisations, government agencies, small businesses, community networks and trusts. Director Heather Newell, MComms, CFRE, FFINZ is widely recognised as a leading practitioner of fundraising and an expert in corporate social responsibility. In her 25 year fundraising career Heather has raised millions of dollars for a wide variety of charities, as well as training hundreds of fundraisers. She has developed the professionalism of the sector by producing two specialist subscriber publications - Sponsorship Profile and Fundraising New Zealand (in partnership with Tony Pilalis), and has updated all the content of the Certificate in Fundraising for the New Zealand environment. Today Heather has created a comprehensive fundraising course - Pathway to Fundraising Excellence - which provides fundraisers with the skills and knowledge they need to advance their fundraising career. Heather is currently the Chair of the BACS Trust which promotes Business and Community relationships for the benefit of society. We are a full service fundraising agency but our aim is always to provide your organisation with the knowledge and training; the systems and processes, the policies, the coaching and mentoring for charity fundraising - to go it alone! Original generation time 1.4228 seconds. Cache Loaded in: 0.0089 seconds.